It is hard to believe a hospital administration could be so insensitive to the parents of a child who died under their care. 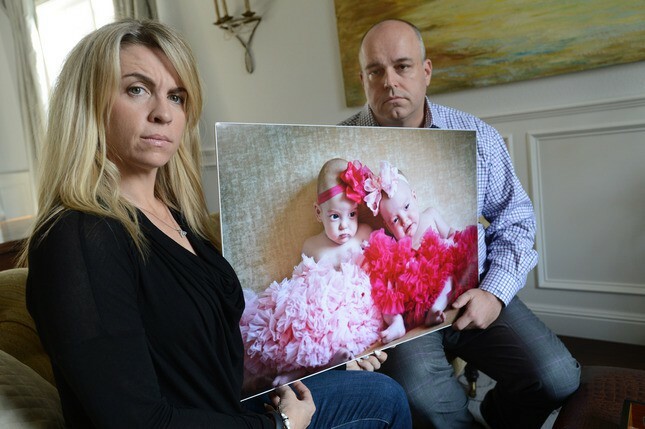 Children’s Hospital Oakland, which gain notoriety for the McMath case, made news again when the parents of Morgan Westhoff went public. In the McMath case, Jahi’s tonsillectomy surgery and its aftermath resulted in a brain dead teenager who is currently being kept alive with a ventilator in another facility. The Westhoff twins were premature babies who shared the same heart defect, a patent ductus arteriosus. This occurs when a blood vessel that allows blood to bypass the lungs before birth does not close after birth. Often this defect closes on its own, as it did in my son’s case, but the Westhoff twins were not so lucky. Hunter Westhoff underwent surgery two months before her sister did and had an uneventful recovery. Morgan Westhoff’s surgery had a tragic end. The family alleges errors in the surgery and reactions to the crisis created when a device inserted into her body became dislodged. Morgan suffered brain damage and a cardiac arrest. Her physician asserted she died of natural causes and did not request an autopsy. The parents would have requested one if they had known the physician did not order one. The Westhoff parents and their extended families had been major donors to the hospital in the past. The family requested an apology and a settlement that the family offered to invest back into the hospital to develop an apology and disclosure program. See the story of Josie King, a child whose death and lawsuit changed patient safety all over the world, because the hospital did use the settlement money for an excellent purpose. The Westhoffs also requested that the hospital stops sending them marketing and fundraising letters, which were cruel reminders of their daughter’s death. The hospital refused the offer, refused to settle the case and but promised to stop the mailings. How hard can this be to stop mailings? We maintain a database in our office that enables us to add and remove people with a few keystrokes. Yet Children’s Hospital continued to send solicitations. the family is now seeking a court order to get the hospital to stop. A case that could have been resolved became a formal lawsuit when the Westhoffs retained a plaintiff firm to represent them. The hospital’s reputation among the community and its donors, its litigation costs and lost productivity, and its damage to morale are all part of the price it is going to pay. Our legal nurse consultants and experts have reviewed hundreds of cases involving severe brain damage associated with medical care. Call us for assistance.